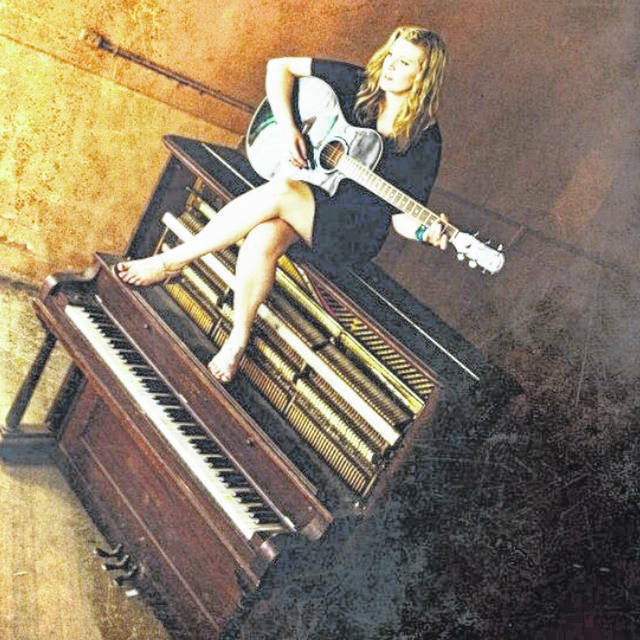 Megan Wren will perform at 10 p.m. at the Court Grill. Adam Cox performing at the Court Grill for last year’s Cabin Fever Musical Festival. The Renee Stewart Band performing at Court Street Grill for last year’s Cabin Fever Musical Festival. 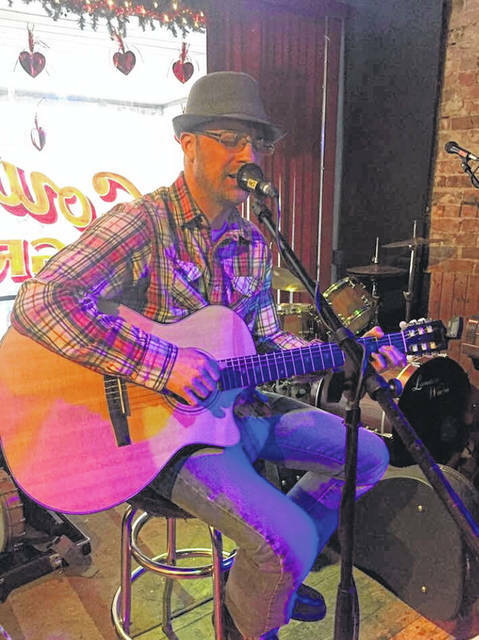 Adam Cox will perform at 6 p.m. at the Maple Lawn Brewery. The Non-Members will perform at 5 p.m. at the Court Grill. 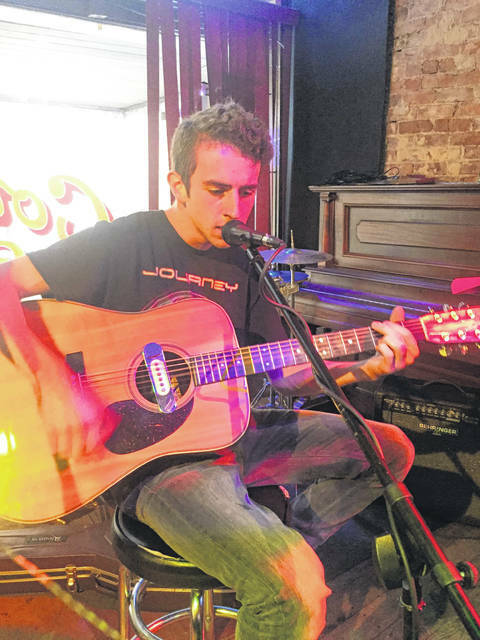 Connor Stimmel will perform at 1 p.m. at the Brickhouse Apothecary. 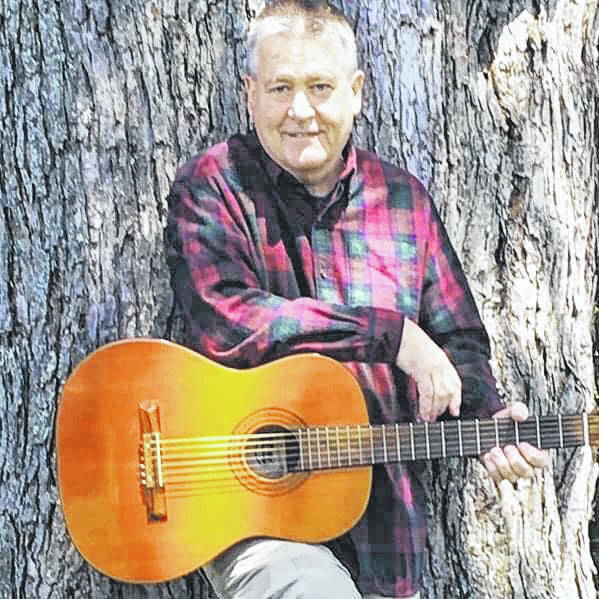 Paul Doeffinger will perform at 8 p.m. at the Maple Lawn Brewery. 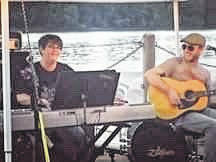 Renee Stewart and Susan Page will perform at 9 p.m. at the Court Grill. 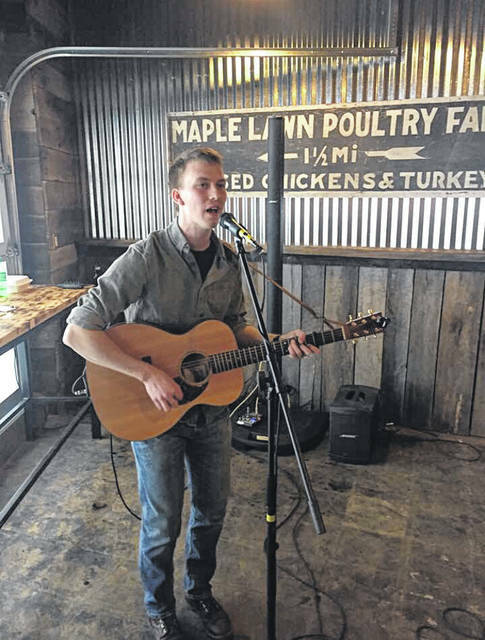 Luke Sadecky will perform at 9 p.m. at the Maple Lawn Brewery. The Nick Michael and Susan Page Orchestra will perform at 7 p.m. at the Maple Lawn Brewery. Caitlin Kraus will perform at 11 p.m. at the Court Grill. 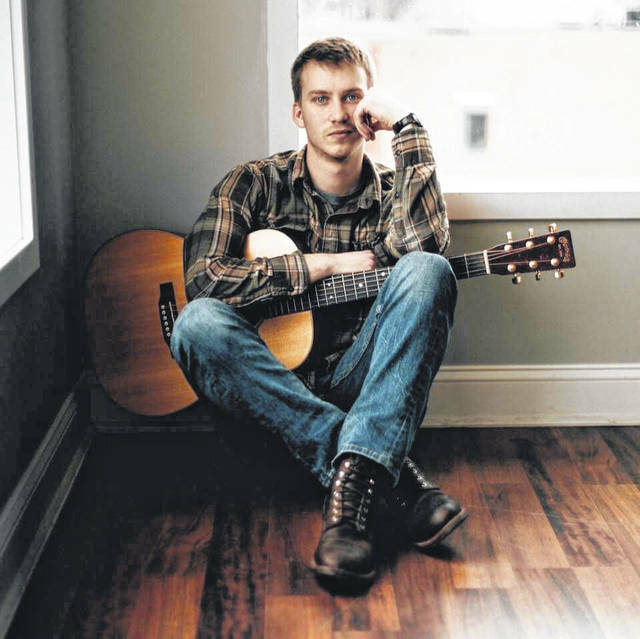 Levi Westfall will perform at 2 p.m. at Bartee Photography. Luke Sadecky performing at Maple Lawn Brewery for last year’s Cabin Fever Musical Festival. Moonbug will perform at 4 p.m. at the Brickhouse Apothecary. Chad Dodson will perform at noon at River Roasters Coffee Co.
Brent Patterson will perform at 3 p.m. at River Roasters Coffee Co.
Brent and Pauline Patterson performing at the Brickhouse Apothecary during last year’s Cabin Fever Musical Festival. 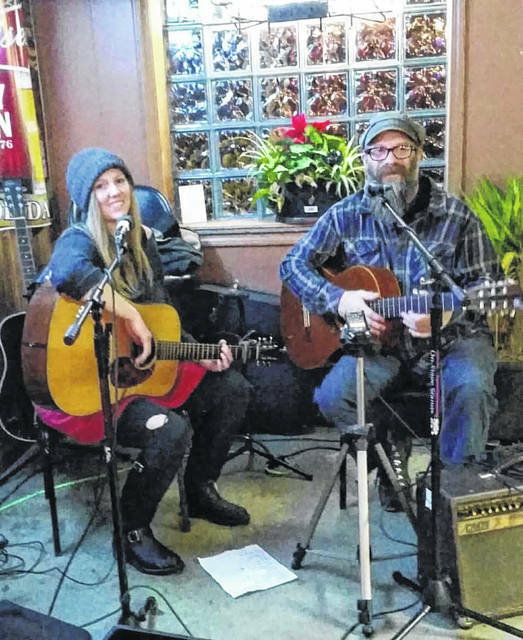 POMEROY, Ohio — Though the weather has put a chill in the air, several local artists around the Ohio Valley will be joining together for an all day musical festival in downtown Pomeroy, Ohio to help warm up everyone’s souls. The second annual Cabin Fever Musical Festival makes its return on Saturday, Feb. 16 with music beginning at noon and ending at midnight. 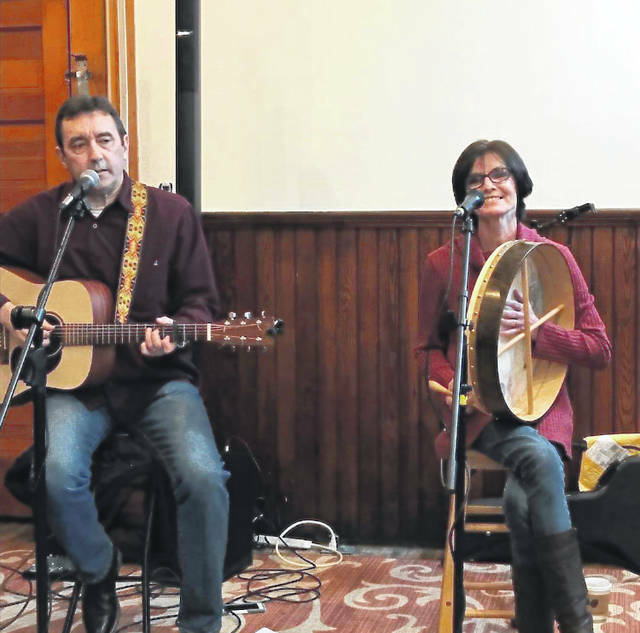 The performances will take place at various locations throughout the day, so festival goers can peruse downtown Pomeroy enjoying different shopping, dining, and drinking opportunities while heading to each performance. Admission is free at each performance, but any donations towards the performers will be welcomed and appreciated. The day will begin at River Roasters Coffee Co. at noon with Chad Dodson kicking off the event. Dodson is a local singer, songwriter, and musician who has been performing in Meigs County for several years now. He performs popular covers as well as his own original music. At 1 p.m., Connor Stimmel will take the mic at the Brickhouse Apothecary (The Herbal Sage Tea Company). Stimmel is from Logan, Ohio and is currently working on releasing his first solo album. 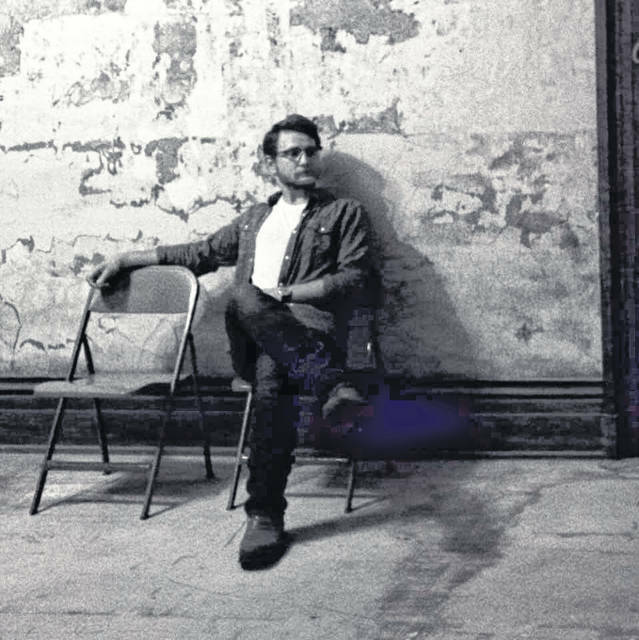 Levi Westfall, a singer, songwriter, and guitarist from Belpre, Ohio, will be performing at Bartee Photography at 2 p.m. Westfall performs throughout Ohio as a solo artist and is also in the band Ben Davis Jr. and the Revelry as a bass guitarist. 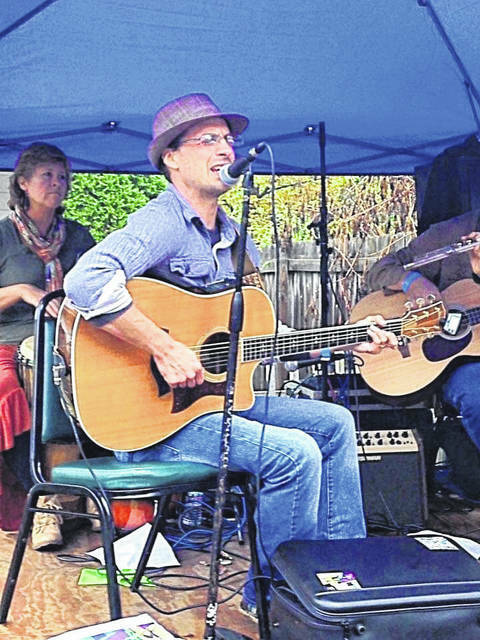 At 3 p.m., the music moves back to River Roasters Coffee Co. with Brent Patterson’s performance. Patterson is both a singer and guitarist, performing contemporary folk, Americana, and acoustic roots music. 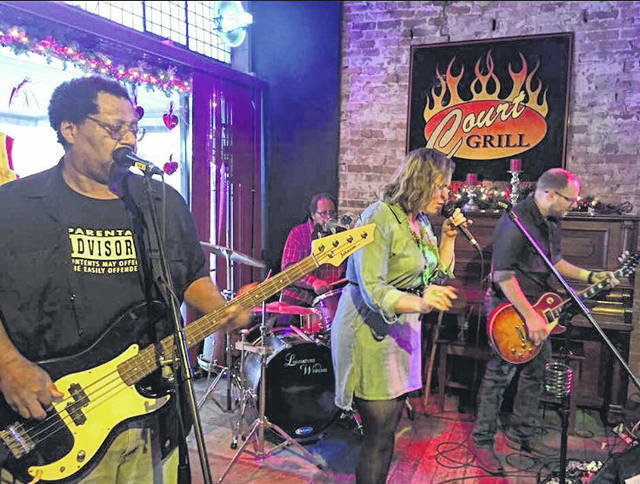 In addition to live, regional performances, Patterson hosts the long running Court Grill Open Stage and the Showcase series. Moonbug, an acoustic-style duo comprised of Steph Moon and Junicus Bugidus, will be performing at the Brickhouse Apothecary at 4 p.m. They are local performers from Athens, Ohio. At 5 p.m., The Non-Members will take the stage at the Court Grill. The Non Members are an acoustic songwriting duo made up of Mike Ratliff and Travis Swackhammer who are from New Lexington, Ohio. The duo is described as having strong harmonies, killer guitar riffs, and thoughtful lyrics in their original music. They also perform popular covers. From 6-8 p.m., the music will move to the Maple Lawn Brewery with Adam Cox taking the mic first. Cox is a West Virginia native from Ripley. He draws his songwriting inspiration from the wild and wonderful and beyond. Cox’s music is described as being an eclectic hillbilly-folk sound. His songs reflect life among the mountains and express a love for the mountains. Following at 7 p.m., Nick Michael and Susan Page Orchestra will perform. 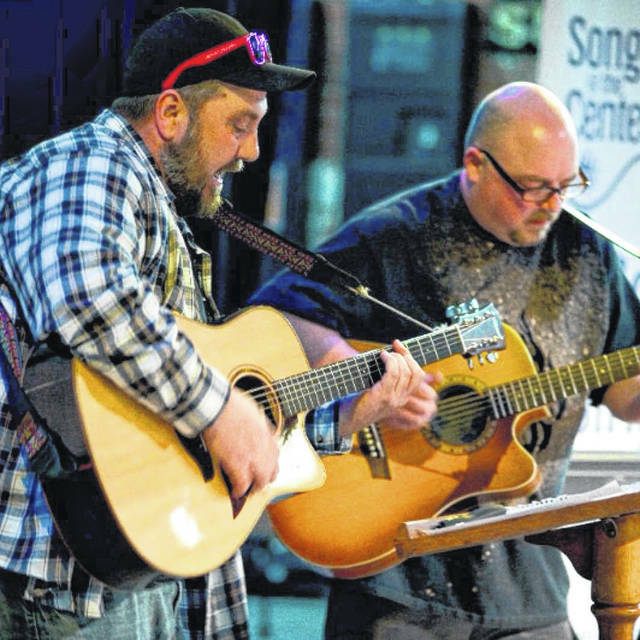 Meigs County natives, Michael and Page have been performing together in various bands and projects for nearly 20 years. They primarily perform covers of musical favorites. 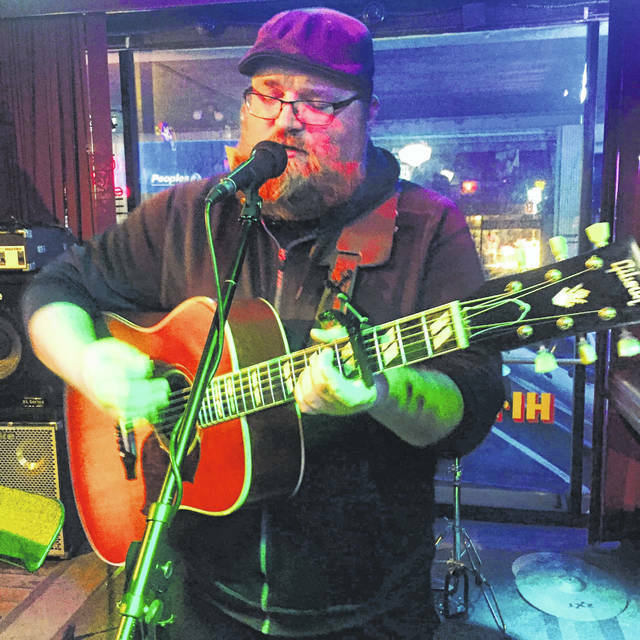 Paul Doeffinger will then go on at 8 p.m., Doeffinger is a Mason County local singer-songwriter from who is an in-demand performer. 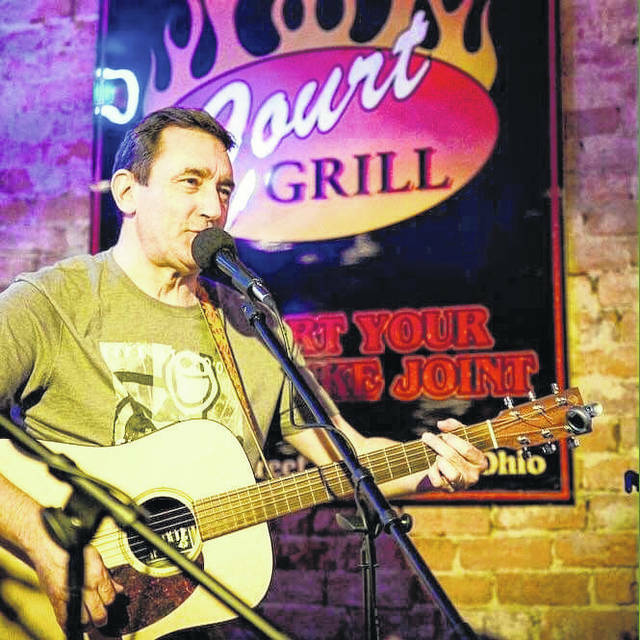 With a twist on classic country and rock, as well as his well-known originals, Doeffinger always brings a “team” of fans wherever he sets up his microphone and plugs in his acoustic guitar. He has a large, local following in the Ohio Valley. Wrapping up the sets will be Luke Sadecky at 9 p.m. Sadecky is from Ravenswood and is an avid listener to music of folk and bluegrass genres. He has said with his songs he strives to produce honest and personal music that others can relate to as well as enjoy listening. Also at 9 p.m., a musical line up will begin at the Court Grill with Renee Stewart and Page first taking the stage. Though Stewart and Page perform in separate bands, Stewart as lead vocals in The Renee Stewart Band and Page as the keyboardist for the Nick Michael and Susan Page Orchestra, they are both members of the Meigs County local band Marauder. At times, they join together and perform as a duo. 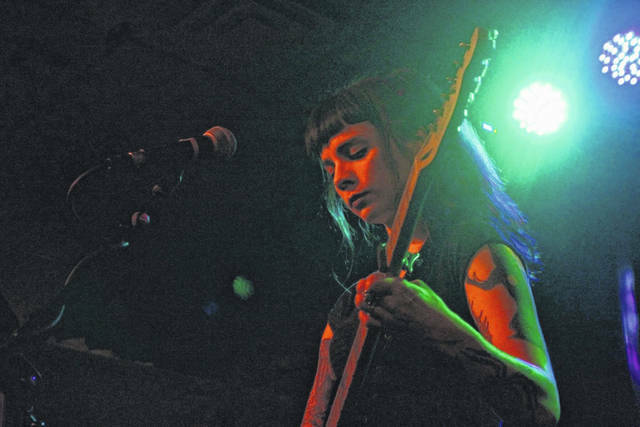 Following at 10 p.m., Megan Wren, a performer and songwriter from Athens, will take the mic. Wren is originally from Cincinnati, Ohio, but is currently studying at Ohio University pursuing a degree in Music Production. While working hard on her studies, she is growing as an artist and performer. 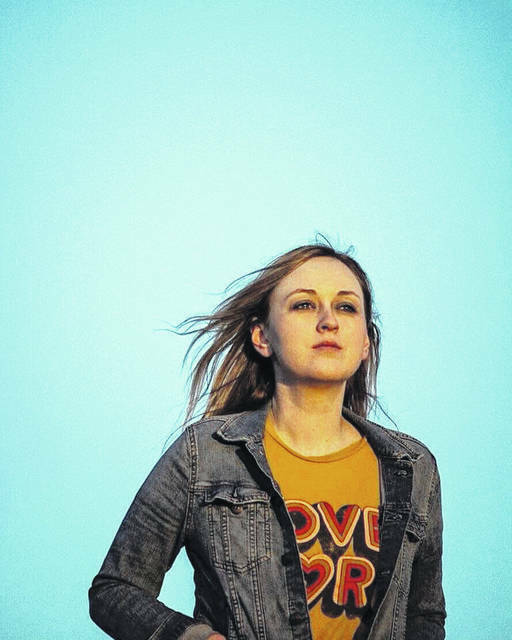 The night will close at the Court Grill with Caitlin Kraus performing at 11 p.m. Kraus, a musician and songwriter, is an Ohio native living in Athens whose music is described as having a Texan vibe. Several downtown businesses, including the Pomeroy Merchants Association, helped bring this event back for another year including Farmers Bank, Front Paige Outfitters, Court Grill, Maple Lawn Brewery, River Roasters Coffee Co., Brickhouse Apothecary, Bartee Photography, Clark’s Jewelry Store, Hartwell House, The Fabric Shop, Weaving Stitches Gift Shop, and The Wild Horse Cafe. Some information from the performers music websites /Facebook pages was used in this article.